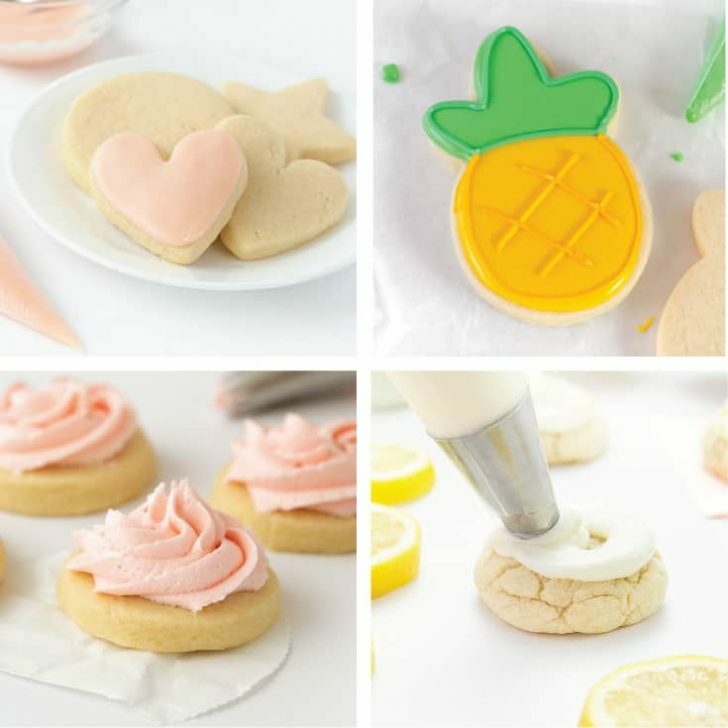 When it comes to sugar cookies, I am particular about which types of frostings I pair with cut out sugar cookies depending on the different occasions. 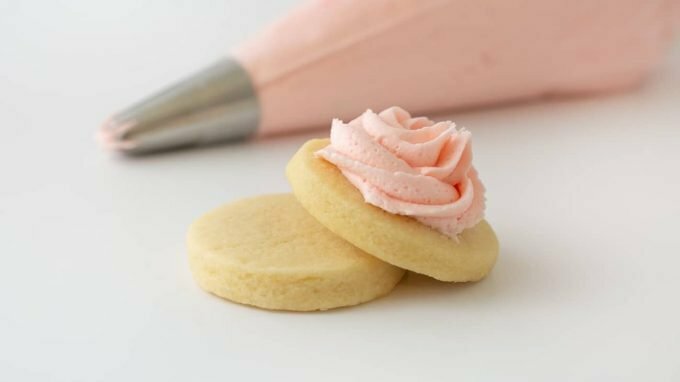 Between royal icing, easy sugar cookie icing, cream cheese frosting, and this sugar cookie buttercream – there’s a time and a place for each. 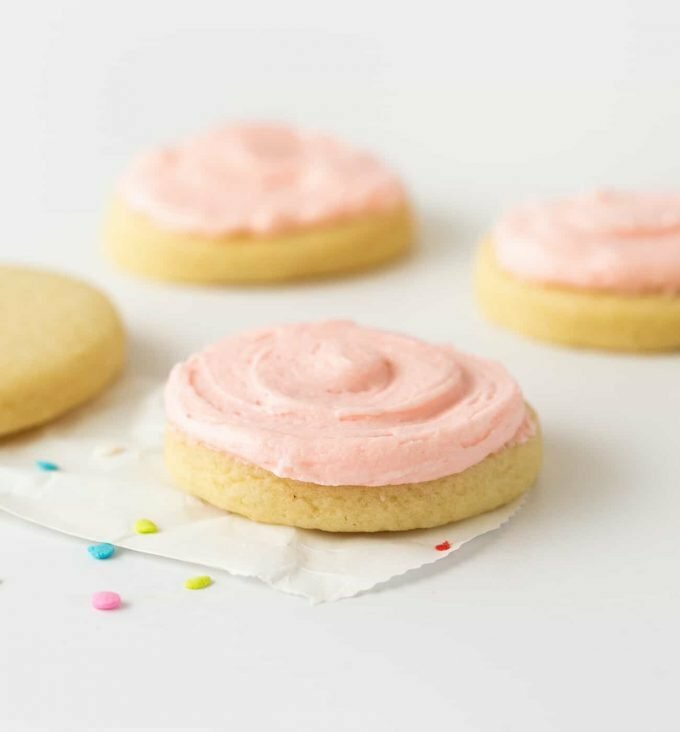 And this creamy and buttery buttercream is perfect for when you want to make fancy-looking, bakery-style cookies without spending hours intricately icing cookies with royal icing. 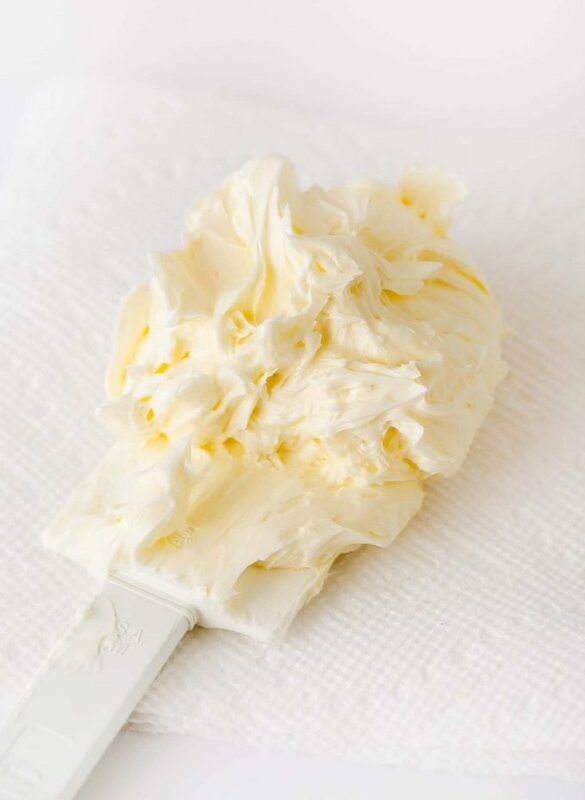 The trick to getting this buttercream nice and fluffy is starting with room temperature butter and using an electric mixer to whip. Step 2: After the 3-4 minutes, keep the mixer on high speed and add in the vanilla extract, almond extract, and salt. Turn the mixer down to low speed and slowly add in the powdered sugar 1/2 cup at a time until it is all incorporated. Once all powdered sugar is worked in, add food coloring then turn the mixer back up to high speed and beat for 2-3 minutes until it is light, creamy, and fluffy. 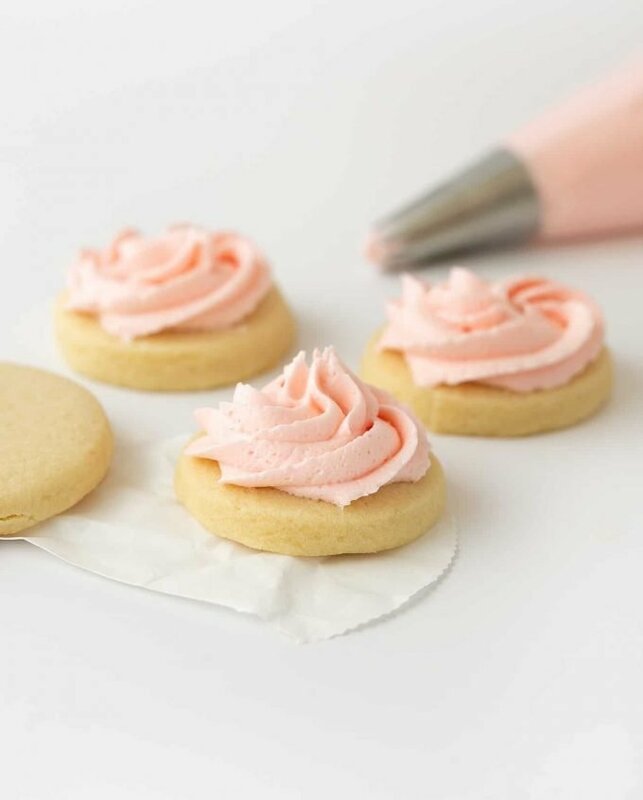 Tip: To achieve this light pink color, I dipped the tip of a toothpick in red food coloring then did 1 swipe through the frosting. 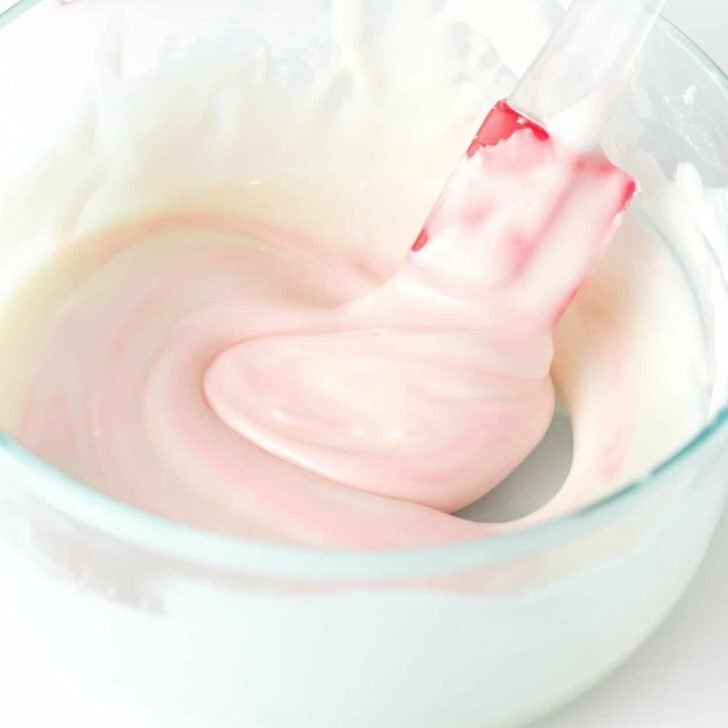 For a more in-depth look at achieving a light, blush pink, check out my post on how to make light pink frosting. 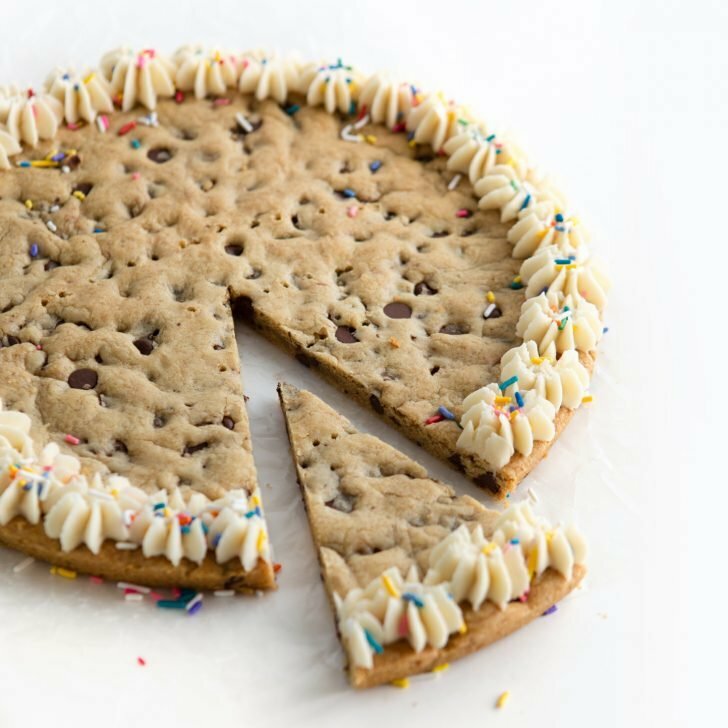 Step 3: Use a offset spatula to generously spread frosting onto cooled cookies or place frosting in a large piping bag with a large star tip for more intricate decorating. For a rosette shape, start in the center and swirl the piping tip around to the outside. For a more traditional swirl (like shown below), start from the outside and swirl the piping inward to create a peak. Step 4: Immediately after frosting, top with sprinkles! You want to do this right after frosting, otherwise the frosting will start to develop a slight crust. See FAQ section below for storing instructions. Will this buttercream frosting harden? The frosting will develop a slight crust if left sitting out (or when refrigerated), but it won’t completely harden. Which means you don’t want to stack them if piping swirls. 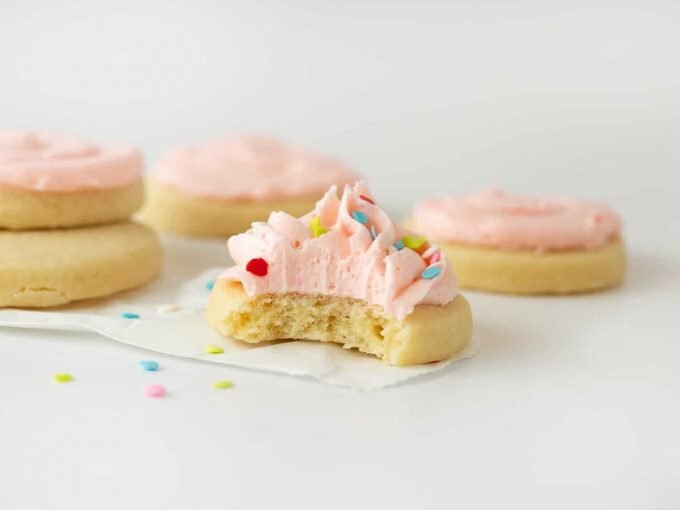 For my tips on how to stack non-piped cookies (like the photo below), see my guide on how to freeze sugar cookies. Does this buttercream frosting need to be refrigerated? 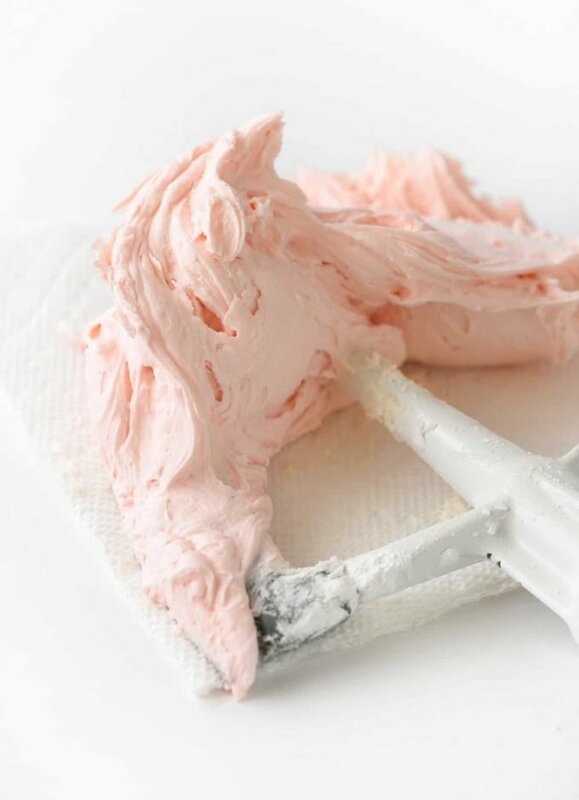 If you have leftover frosting, you can freeze it in a plastic freezer bag for 2-3 months. Just make sure all the air is out of the bag. When ready to use, thaw the bag in the refrigerator and once it’s soft, place frosting back in bowl and beat for 2-3 minutes. Note that frosting may not become as fluffy as before, so this method is typically best when you just want to spread the frosting vs. pipe it. To freeze frosted cookies, see my guide on how to freeze sugar cookies. 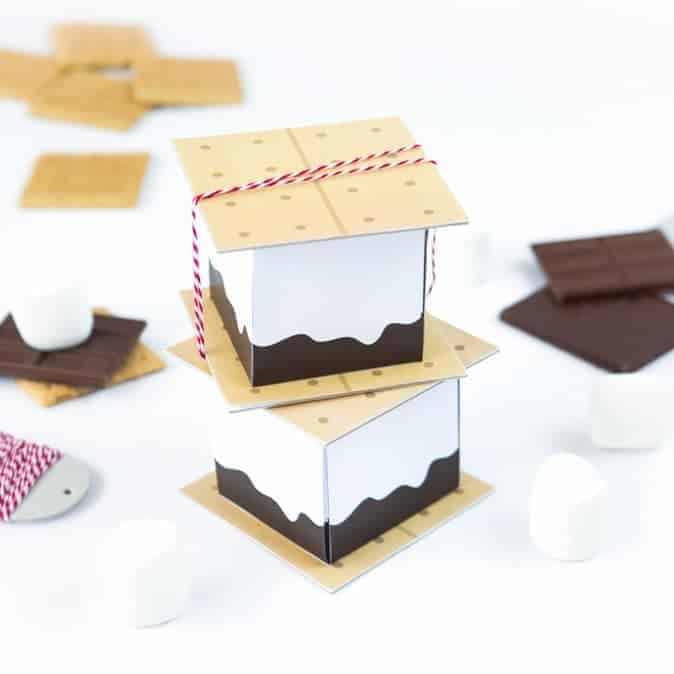 What sugar cookie recipe should I pair this with? 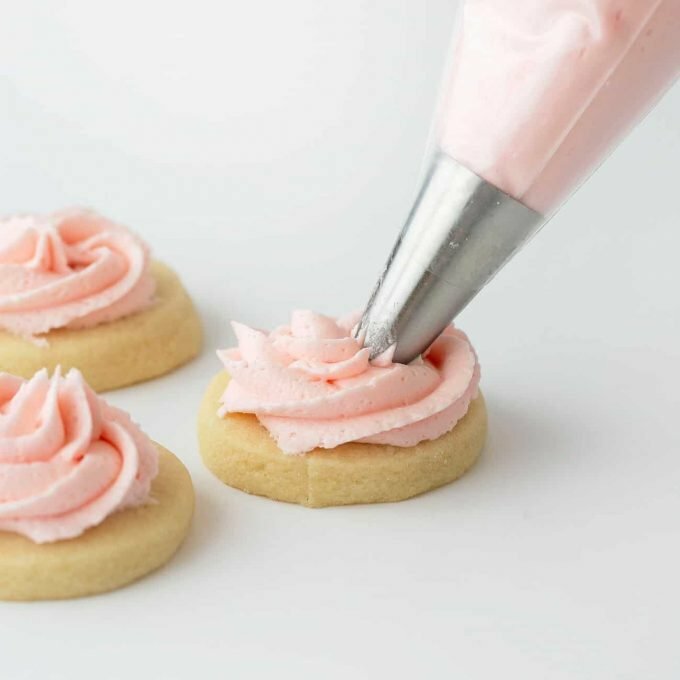 I use this sugar cookie buttercream frosting to top my soft & thick cut out sugar cookies. 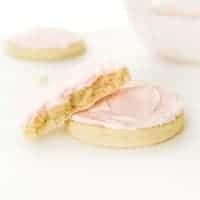 This frosting recipe will make about 2 cups of frosting, enough to generously frost about (24) 2.5″ sized round cookies. What vanilla extract do you recommend? 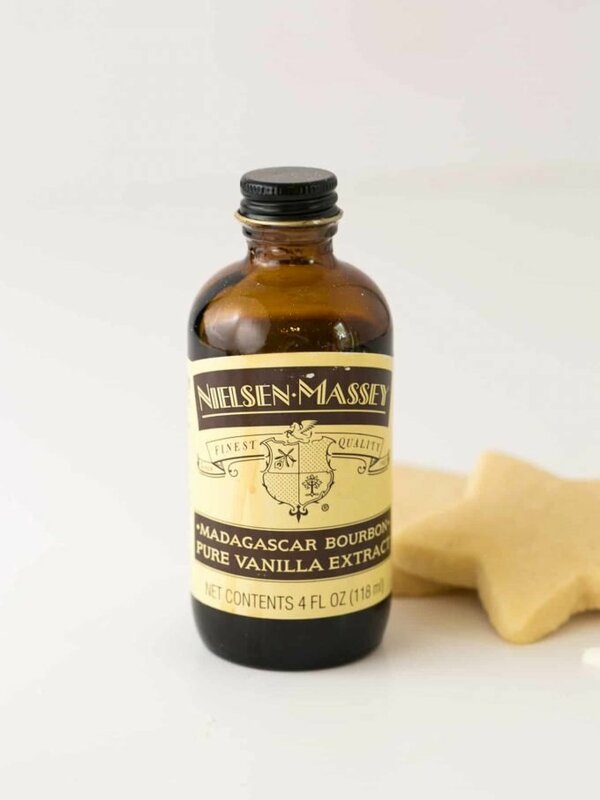 Although I typically recommend a clear-colored extract when making white buttercream icing, the flavor in this Nielsen Massey Madagascar Bourbon Vanilla takes the flavor up a notch. 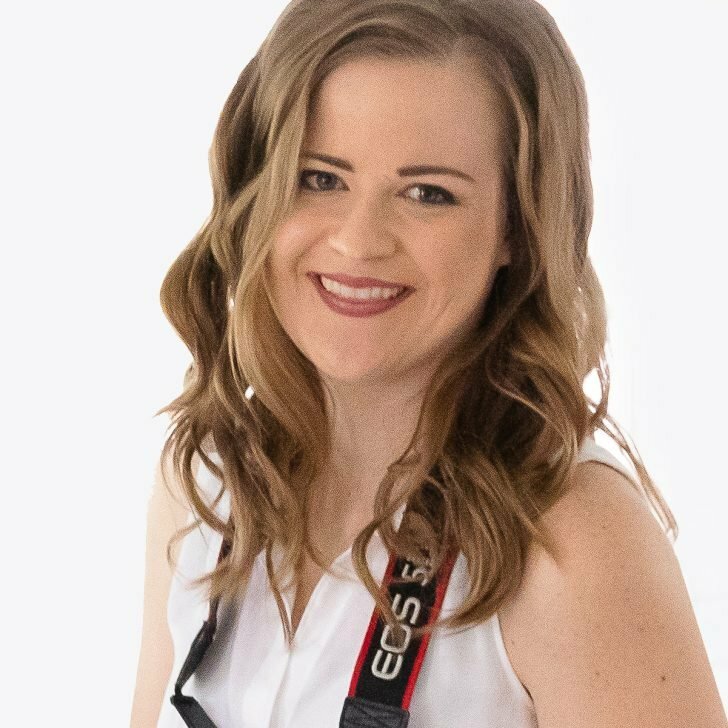 It’s pricier than grocery store vanilla, but is worth it when you’re looking to impress. 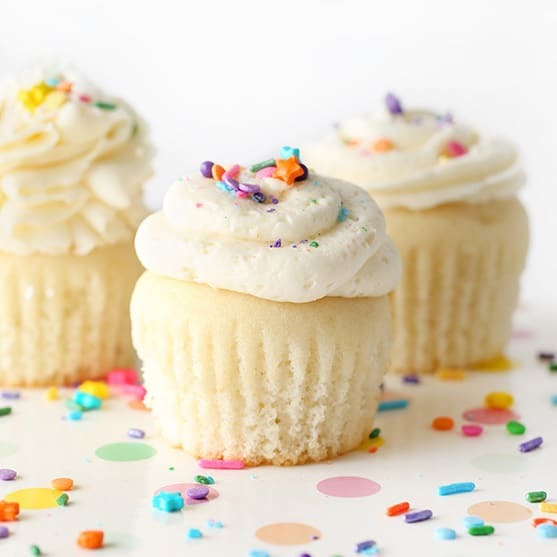 The best fluffy vanilla sugar cookie buttercream frosting! 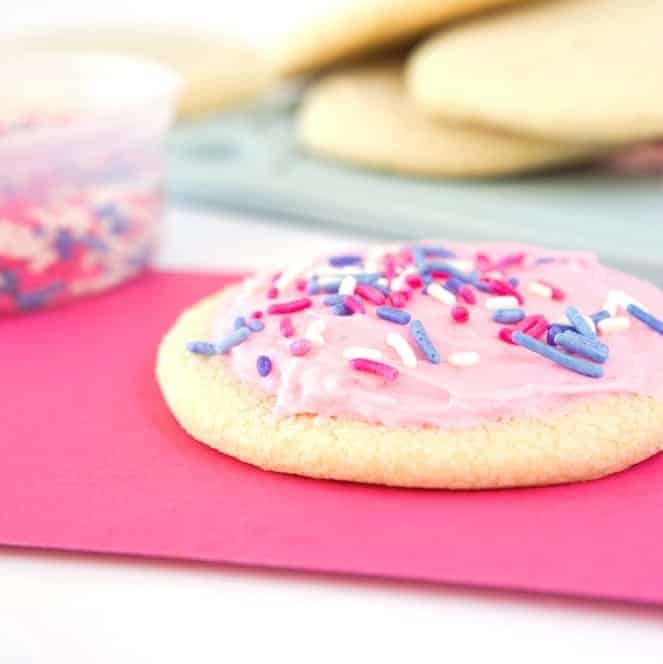 With a blend of vanilla and almond extract, this recipe is perfect for spreading on soft cut out sugar cookies to make the ultimate buttery and creamy Valentine's, Christmas, or birthday cookies! In a large bowl, whip butter for a 3-4 minutes until light and fluffy on high speed. Whip in vanilla extract, almond extract, and salt. On medium/low speed begin adding in powdered sugar 1/2 cup at a time until all is incorporated. Mix at high speed for 2-3 minutes until nice and creamy. 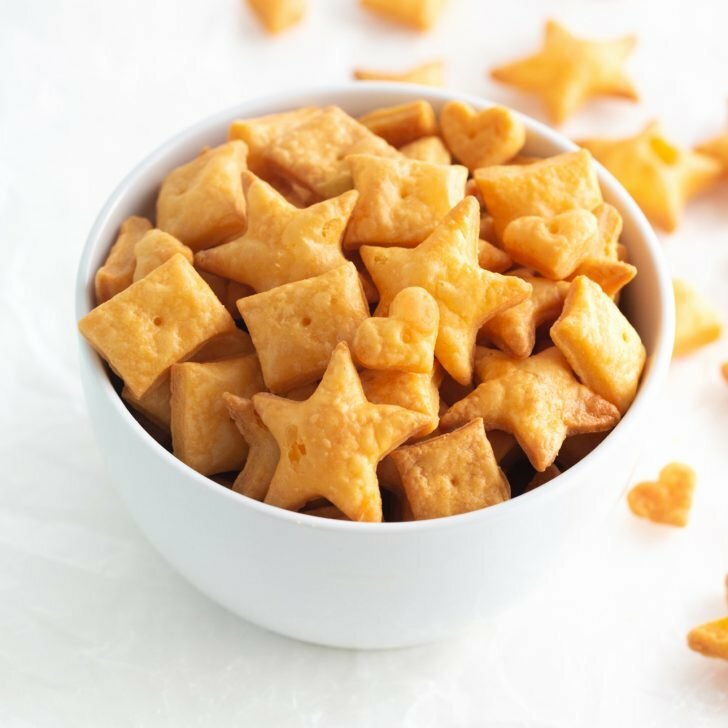 Spread on top of cookies or place frosting in a large piping bag with a large star tip to achieve a more intricate design. To pipe the swirl, start from the inside and swirl to the outside. Makes 2 cups of frosting, which is enough to generously frost about (24) 2.5" circle cookies. 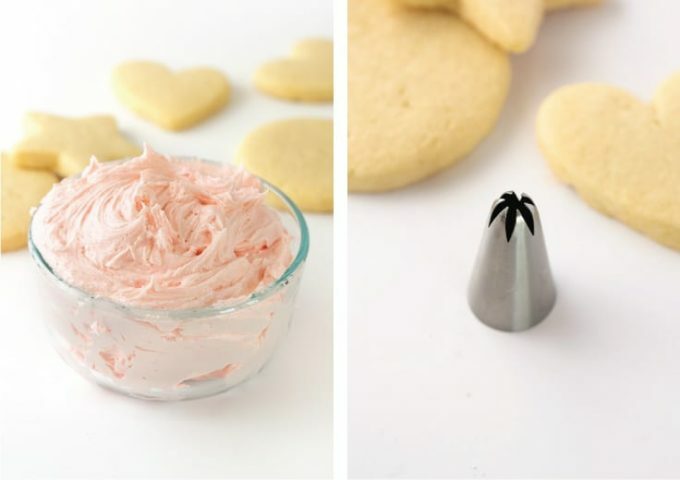 This sugar cookie buttercream frosting is perfect for Valentine’s Day cookies! 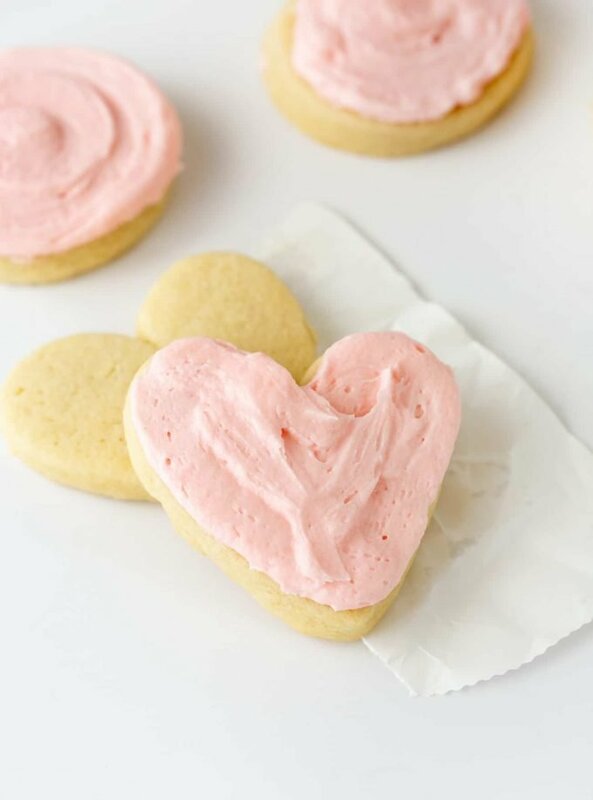 For these adorable bite-sized heart cookies, I used Sugarbelle’s Multi Heart Cutter and spread on pink buttercream. 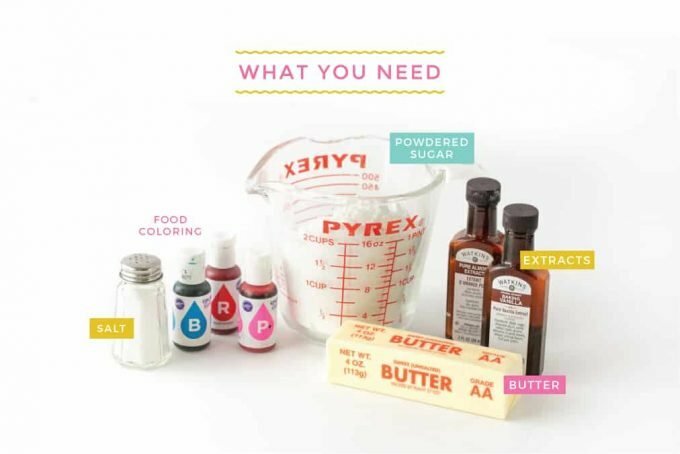 Dye the buttercream frosting any color and top with sprinkles for perfect Christmas, halloween, baby shower, or birthday cookies!